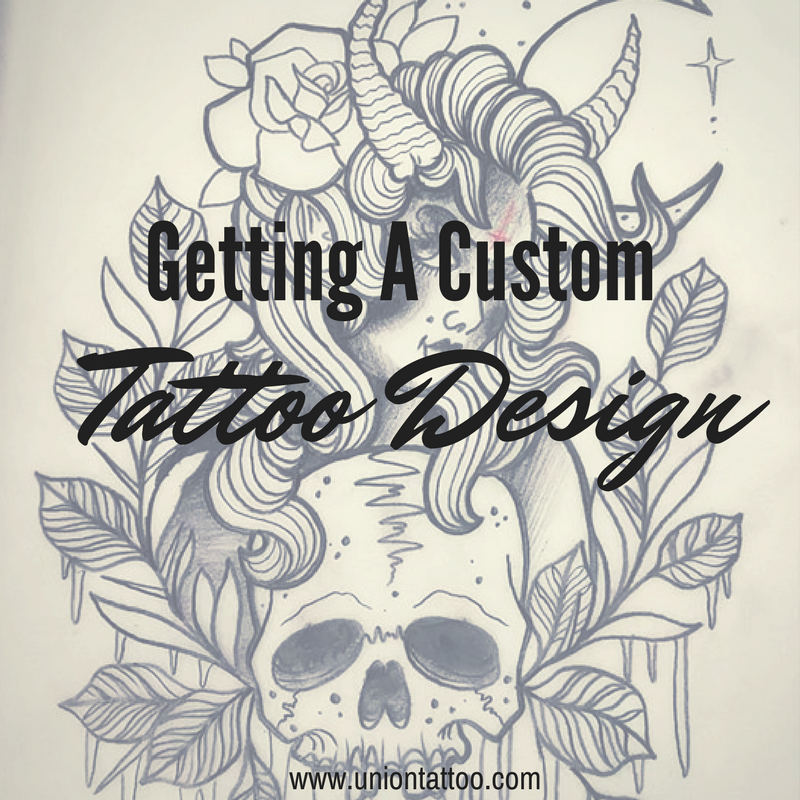 Getting a Custom Tattoo | Union Tattoo & Piercing | We are a NEW Tattoo & Piercing shop located in Manteca, CA! Alright, hopefully you’ve read the other blogs about how to find your ideal shop, and how to book your first appointment. If not, go back and read those right now! …Did you read them?? Okay, now that you’re caught up, let’s continue. You’ve found your shop, you booked your first appointment, now lets talk about getting a custom tattoo design. Technology is great, but things can get lost in translation. The best way to talk to your artist would be to schedule a consultation. Calling them at the shop they work at could interrupt them, and you might have a hard time trying to convey what you want through an email. Plus if you’re there in person, the artist can take measurements of the area you want tattooed. They can also give you pointers and their input on your design and placement. Keep an open mind! They’re the experts! If you’re not comfortable with something they’re suggesting, definitely tell them, but be respectful. Unless your artist has FULL creative control, make sure to bring references! A picture of something you saw on Instagram or Pinterest is fine, but don’t ask for the exact same piece! Asking an artist to replicate another artist’s work is like copying a fellow classmate’s homework. So keep in mind that those references are guides, and not exactly what you’ll be getting. Pick something you like from each reference, and the artist can go from there. Pick your artist with style in mind. 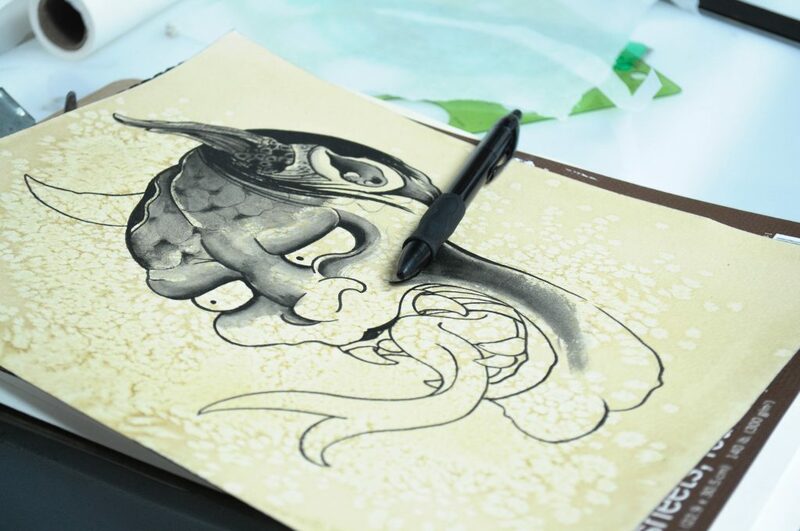 You want to make sure to go to the best artist for the style of tattoo you want. 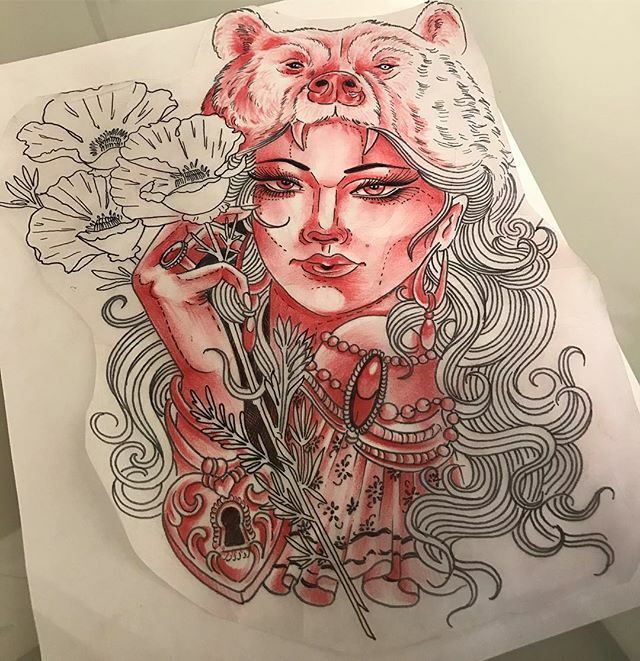 While most artists can do any style, why not pick someone who specializes in neo-traditional? Or if you’re looking for a black and grey realism piece, pick the shop’s best realism artist. When you call to book your consultation appointment, let the manager know what you’re looking for and they should point you in the right direction. Your custom tattoo design takes time, and time is money! Your tattoo artist will take a few hours to go over the references you give them, then drawing it up. They might have to make some changes if you aren’t completely happy with it, and that takes more time. So leave a deposit when you make your appointment so that your artist knows that all this time won’t be wasted on someone who no shows to their appointment. 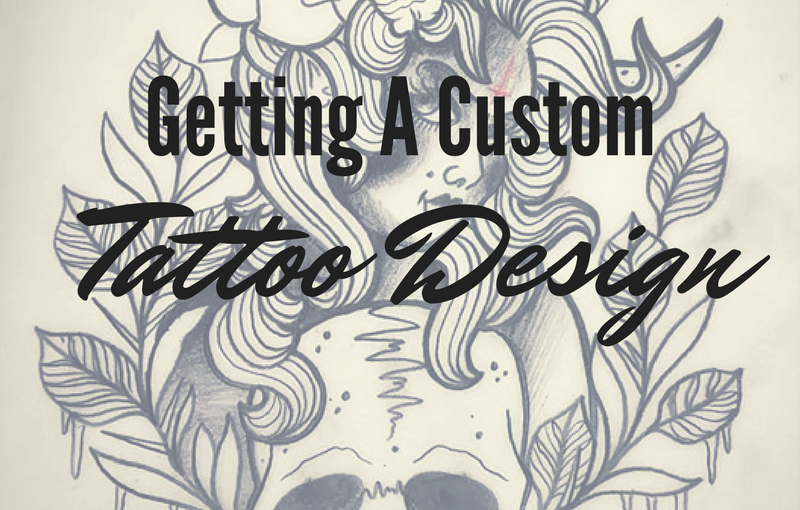 It may seem like a daunting task, but getting a custom tattoo design isn’t too hard! Your artist will most likely be stoked to be doing something original, not another tattoo they’ve seen a thousand times. Plus it’s unique for YOU! Wouldn’t you want your tattoo to be one of a kind, just like you are? ?